If you have very tight schedule which doesn’t allow you to ensure the hygienic and tidy condition of your home, we can provide you the assistance you need. 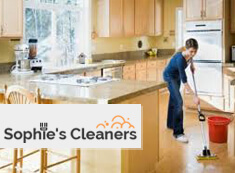 Our domestic cleaners are at your disposal to do the household and cleaning work which you require. They are fully trained, experienced and vetted. Use our services to keep the clean and neat condition of the rooms in your home. If you need the professional help of our domestic cleaners in Wimbledon SW19, call us, use our online chat or booking form. You can include as many cleaning and housekeeping tasks as you want and they will be implemented at a convenient for your family day and time. Our home cleaners in Wimbledon will sanitise your house well, cleaning and tidying every room. They can wash the dirty dishes, do the laundry, dry and iron your clothes. Our employees are at your disposal any time in the week to do the necessary work and keep your home presentable and hygienic. Get in touch with our kind and helpful representatives to schedule a meeting with any of our cleaners. We offer professional cleaning and household work in and around Wimbledon SW19, done at affordable prices by our qualified domestic cleaners. You can save your time for more important things to do and rely on our regular house cleaners who work in the area of SW19 Wimbledon to help you. They can sanitise and maintain your home clean and tidy, doing the required work every day or week, fortnightly or monthly. Your home will be spotless and tidy without having to spend many hours in cleaning and household work.